You want a straighter smile, and yet something is holding you back from calling the orthodontist. Maybe you don't have to! If you're like many other people who would prefer to avoid metal braces, you just might find that your dentist in Pasadena has an alternative! At Prestige Dental, we love giving our patients options. For straighter teeth, we offer Invisalign. How Invisalign can change your smile? It’s easy to assume that to get the beautiful smile you want, you will have to wear braces. This isn't always the case. More and more people are discovering that Invisalign is more than they imagined. This aligner system is not all about cosmetics. It can actually address certain bite issues as it brings teeth into proper positioning. One very common Invisalign treatment is correcting rotated and crowded lower front teeth, thereby improving your smile, reducing wear and chipping of the teeth, and making it easier to keep the teeth clean. Another common Invisalign treatment is correcting orthodontic relapse (teeth that have shifted or moved years after completing conventional orthodontic treatment with braces). The process is straightforward. We begin with a consultation and obtain a few photographs and possibly some x-rays. If it seems as though Invisalign is the appropriate method to give you the smile you desire, we send the data we collect to the Invisalign lab, where an animated presentation of your projected process is created. Together, we view this film so you can see how your teeth will get straighter by the day, and we can answer any questions you have. A streamlined path to a gorgeous, healthy smile! Invisalign is a popular method of straightening teeth because it offers ultimate convenience. It's that simple. The process couldn't be much easier! 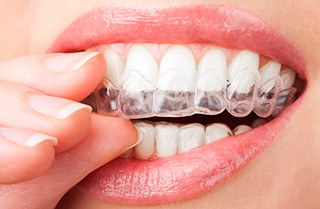 A series of aligner trays is made just for you. Each set of aligners is worn for two weeks. Aligners are designed to be easily removed so you can eat what you'd like and take really good care of your teeth. When aligners are in place, they are clear, thin and barely noticeable, so you can feel confident in your smile. Remember to wear aligners more often than not, and to rinse your mouth after meals. Aligners can also be rinsed under cool water to prevent bacteria buildup (and bad breath). Most patients achieve their desired outcome in 9 to 18 months. Learn more about getting the smile of your dreams! 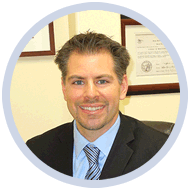 Call Dr. Vasag Bouzoghlanian atPrestige Dental (626) 577-2017.